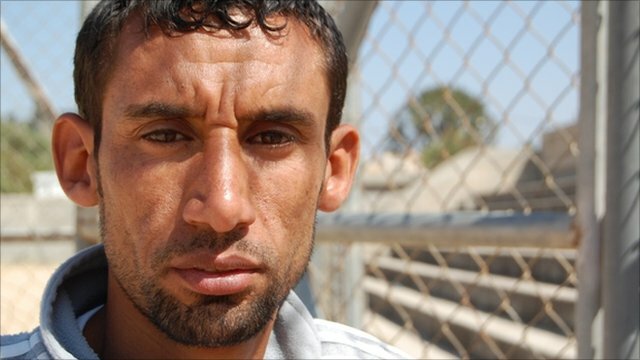 Gaza's 5,000m runner Nader el Masri is satisfied with his Asian Games despite having to to borrow a pair of running spikes from a Qatari athlete. He ran a personal best in Guangzhou, China, recording a time of 14 minutes 25.04 seconds, but still finished 12th. El Masri now wants to train in a neighbouring country like Egypt or Jordan with better training facilities. "I practice on the roads of Gaza as we don't have good stadiums and tracks so I gave my best," he told the BBC. El Masri was impressed by the stadiums in Guangzhou and hopes that one day similar structures will be built in Gaza. But, for the time being he wants to focus on his preparations for the London Olympics. He sent a request to both Egypt and Jordan in August, to see if he could train there, but is still waiting for a reply. The issue of running spikes is also unresolved. "In Palestine we can't find a pair of shoes of such material. In Guangzhou I didn't have time to go and look for shoes, so I decided to borrow them from my Qatari friend," said El Masri. He is now recognised at home after he represented Palestine at the 2006 Doha Asian Games and the 2008 Beijing Olympics but he wants to improve and make his countrymen proud. At the Asian Games a lot of African-born athletes represented Gulf countries like Bahrain and Qatar in long-distance events. The men's 5,000m race was won by Kenyan-born Mehboob Ali Hasan, representing Bahrain, while the silver and bronze medallists James Kwalai and Felix Kibore, also Kenyan-born, represented Qatar. There has been much debate about these athletes preventing Asian contenders from competing for their country but El Masri is not bothered by the issue. "These countries pay them good money so they represent them and if international federations have no issues then what can we do?" he said. He believes better facilities make the difference. "If the Palestinian Olympic Committee or Palestinian Federation provide good facilities to the athletes then maybe I can become better than these Bahraini or Qatari athletes," said El Masri.